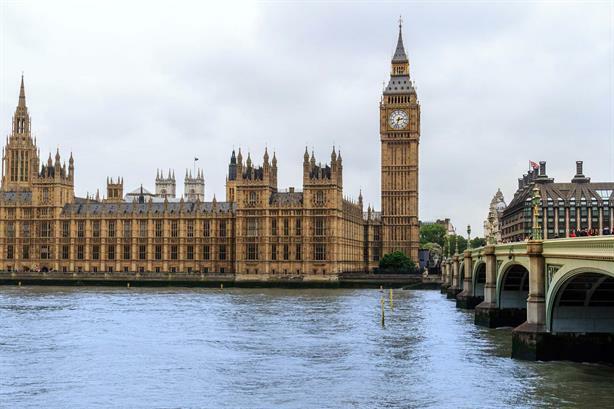 Theresa May's decision to hold a snap general election presents a "huge opportunity" for creative work by consumer PR agencies and their clients - but may also present some with the prospect of a temporary blip, according to agency professionals. Tom Malcolm, UK managing director of consumer marketing at Cohn & Wolfe, told PRWeek that the run up to June's snap general election presented "a huge opportunity" for the agency's clients. "The best consumer PR lives and breathes within the news agenda in which it exists," said Malcolm, who added that "the spoils were there for the taking" for brands that provide "an authentic and engaging distraction to the trade in soundbites we can all expect to see between now and 8 June". Frank co-founder Graham Goodkind told PRWeek that consumer agencies needed to be "that bit cleverer" in their storytelling to get cut through during an election, but said it was "business as usual" for the agency. For agencies with a more direct exposure to the public sector and politics, the story is not as clear cut. Nan Williams, CEO of Four Communications, told PRWeek she expected a "blip" in Q2 as purdah - the period before elections in which there are specific restrictions on the use of public sector resources - disrupted the firm's public sector activities. "We will probably we have slightly less going on for the next six weeks or so than we might have expected," said Williams. "But then also what typically happens is it catches up on itself afterwards. I would say Q2 is going to be different to what we thought, but there's no reason to think the rest of the year won't be as we expect it, which is pretty positive." Bill Morgan, founding partner of healthcare public affairs agency Incisive Health, said the election would change the nature of the work the agency does. He said: "Some of our business-as-usual activity will reduce, but that frees up the resource we need to make the most of the election for our existing and new clients. "Even when elections seem clear cut, they expose new pressure points in the policymaking process. The civil service drops away from the governing party, offering a unique opportunity to secure commitments to policies that may have been buried for consideration in the government machine. Savvy engagement with all political parties, and the media which shapes the agenda even more than usual, is a must." James Gordon-MacIntosh, managing partner of consumer agency Hope&Glory, said there were always opportunities for brands to embrace and play to the media agenda, but said brands planning to do so must "go all in". He said: "All too often election-based ideas are watered down in the process of development and, in the glut of news, disappear without trace." He also said elections can offer an opportunity for brands to be the "light relief" people are looking for. "Bringing some humour - a lightness of touch and a break from the politics is a huge opportunity for brands and their publicists," suggested Gordon-MacIntosh. Taylor Herring managing partner James Herring echoed the sentiment, saying creative campaigns and engaging stories would always cut through. Herring said: "Although there will certainly be pressure on space in the next seven weeks, editors will also be looking for entertaining stories and content to offset the inevitable surge and dirge of election-related news." Marcus Sorour, WE Communications' UK general manager, said the election should provide "an unexpected additional project revenue boost" as clients will require counsel and support over the next few weeks. Sorour added: "The election period is also a storytelling opportunity for organisations to inject themselves into relevant conversations, but agencies obviously need to be aware of the media focus on the election and adjust their campaigns accordingly."